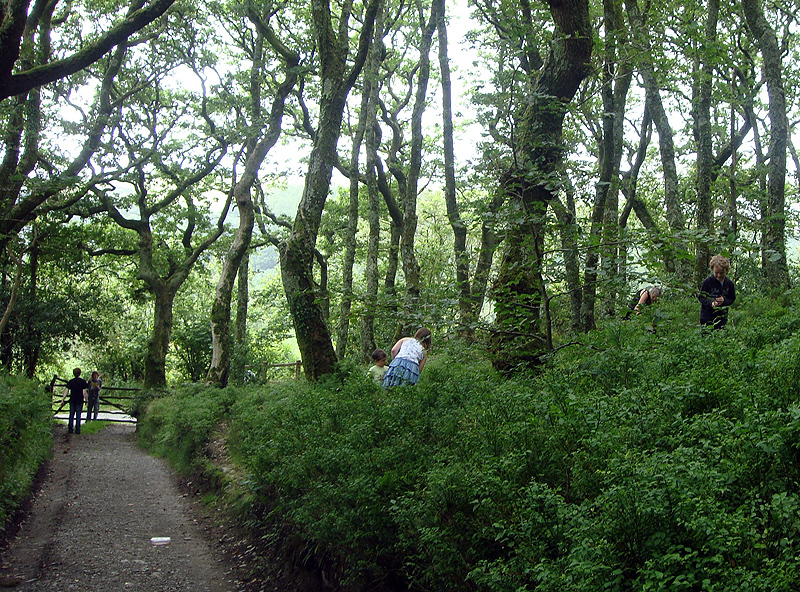 A great afternoon in Pengelli Forest, the oldest oak woodland in West Wales. 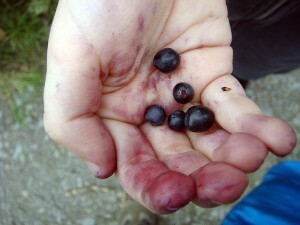 What could be better than a group of family and friends traipsing through the forest looking for bilberries? The kids were enthusiastic, the weather was mild, laughter was the order of the day! 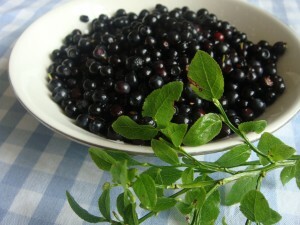 We found lots of bilberry bushes and spent ages picking, eating, dropping them all, picking them up again, and then finally putting them safely into the boot of the car. There was some evidence that not all of the bilberries made it into the tub! 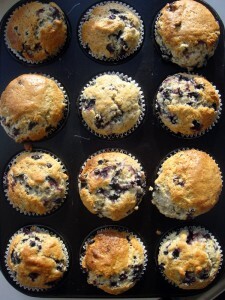 If you would like to try baking these beautiful bilberry muffins why not use my fruity muffin recipe. 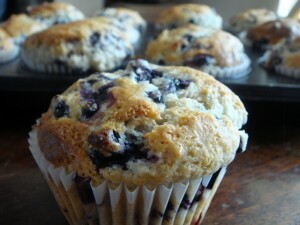 Try saying that with a mouthful of muffin!